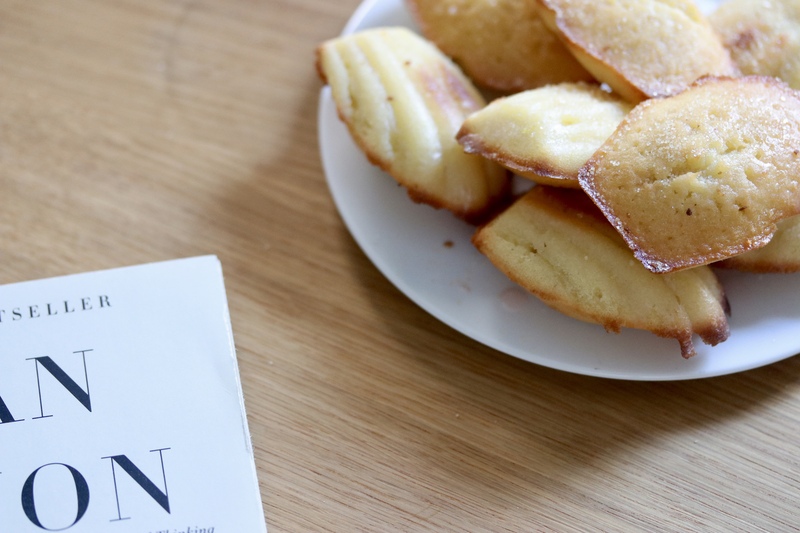 Madeleines – what can I say that has not been said or famously written about them before? Madeleines are a French classic, and they are a completely non-intimidating cookie (or a little sponge cake) to bake. 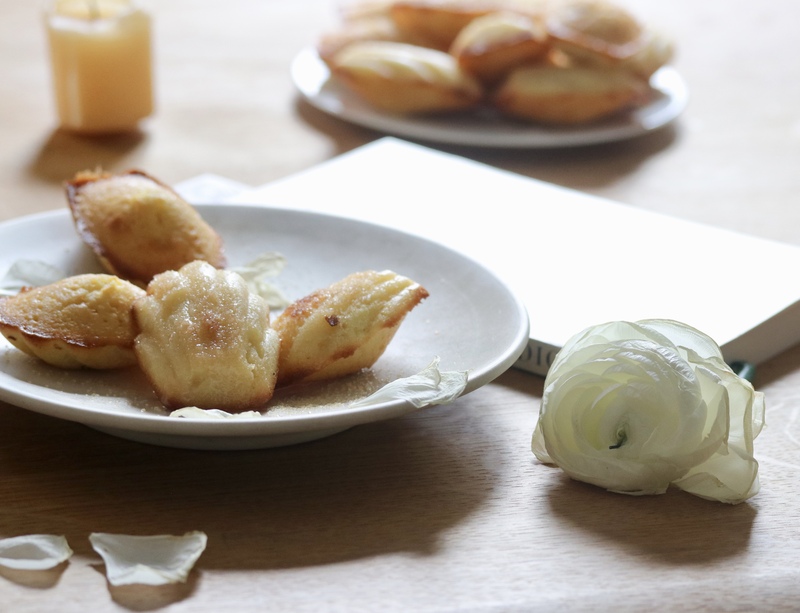 All you need is a madeleine mold and a little patience for chilling both the dough and the mold/pan before baking. 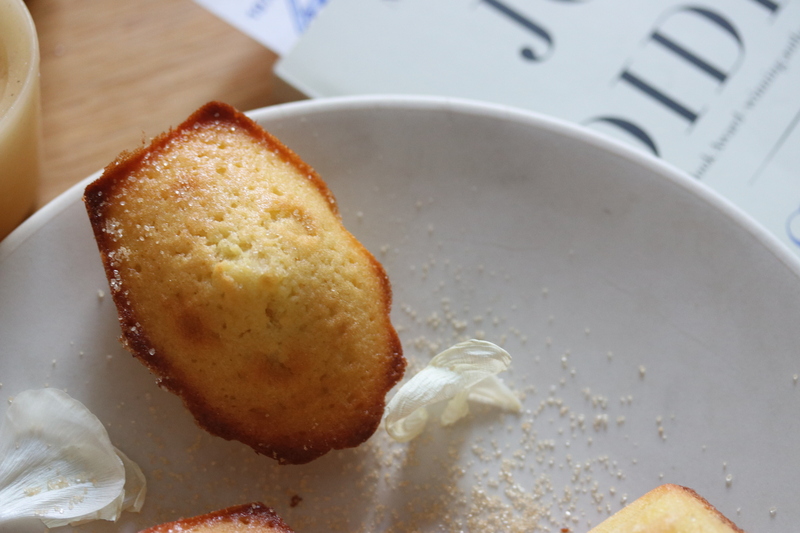 Traditionally, madeleines are flavored with lemon zest, and I have used that generously with the addition of some bergamot jam – so citrusy yet floral – in lieu of honey. Madeleines are most likely called madeleines because of Madeleine Paulmier, the cook who first served them to King Louis XV at the Chateau Commercy in Lorraine in 1755. Soon, they became all the rage at Versailles. These are the perfect tea cookie, in my book. 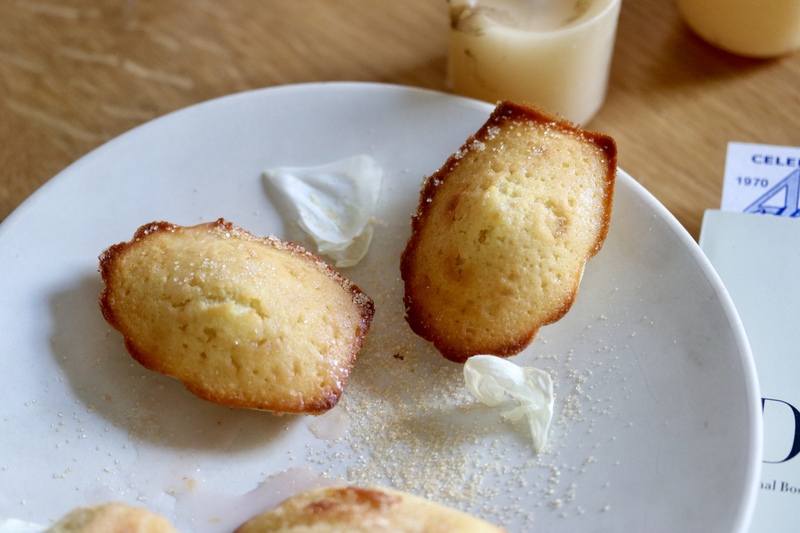 And the sponge cake batter absorbs flavors so well, which is why the subtle perfumery of the bergamot lends itself well to this twist on the traditional madeleine. I made a simple icing with lemon juice and sugar, adding a tiny bit of berry juice for color. 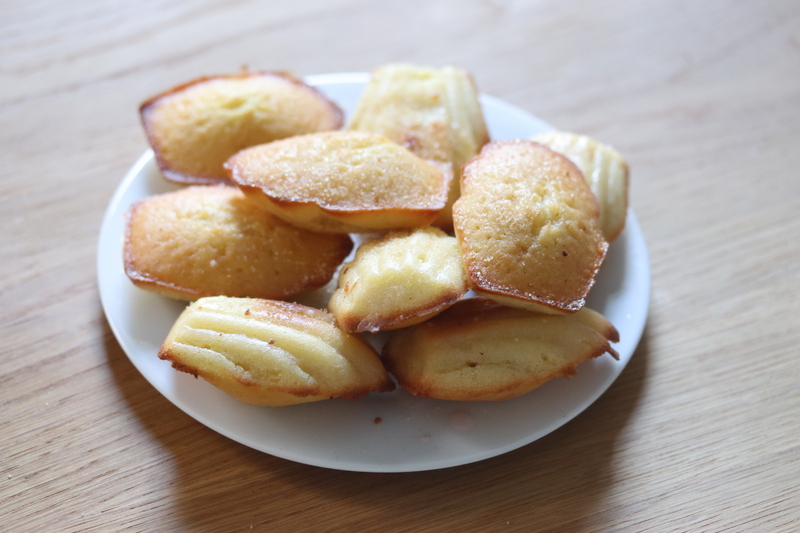 You can dip or drizzle the madeleines with the icing, if you’d like, or just sprinkle them with fine vanilla sugar. Delicate madeleines, flavored with lemon zest and bergamot and sprinkled with vanilla sugar, are the perfect French classic tea cake. Important: the batter needs to chill for at least one hour before baking! So make sure to make it ahead of time. You can make it as far as a day ahead and keep it in the fridge, covered with plastic wrap. In a separate bowl, whisk or sift together the flour, baking powder, and salt and set aside. In a larger bowl, use your hands to combine the sugar and lemon zest, first. Then whisk the sugar mixture and the eggs vigorously until pale yellow in color. Slowly and gently fold in the dry ingredients into the sugar and eggs, just until combined. Then, add in the jam and vanilla. Slowly whisk in the still warm melter butter and, lastly, the cream. Cover with plastic wrap and chill in the fridge for at least an hour. Flour and butter the madeleine molds before scooping about 2 spoonfuls of batter into each. Chill the scooped batter in the fridge for about an hour, as well, before baking. Preheat oven to 400F and bake the madeleines for about 13-15 minutes until you see that signature "bump" forming and the edges are just browned and the cake is golden. Release the madeleines from the molds. They should come away easily. Let them cool before icing or sprinkling with vanilla sugar. To make icing, combine about a cup of confectioner's sugar with half of the lemon juice to form a thick icing mixture. Dip the madeleines into the icing or drizzle on top. This recipe makes a “baker’s dozen” or thirteen madeleines. I love Madeleine’s and have only made them once or twice! Your recipe sounds so extra flavorful and I think it’s time to try again! Thanks so much, Debra! I’ll be making these again soon! Lovely. I love Madelienes and this is a great variation. Thank you! So happy you enjoyed the recipe. I love the flavours you’ve come up wtih for these! I’ve been giving my madeleine pan a regular workout lately. Once I remember how quickly and easily these little cakes come together, I start making them quite often for a stretch.